Rolls-Royce today joined STARLUX Airlines and Airbus in celebrating the official signing of the agreement for 17 Airbus A350 XWB aircraft and for Trent XWB engines. STARLUX Airlines also signed a contract for Rolls-Royce’s flagship TotalCare® long-term services for the engines. The ceremony took place in Taipei, home base of STARLUX Airlines, which will use the aircraft to develop a network spanning destinations across Asia and long-haul services to North America. The Trent XWB is the world’s most efficient large aero engine flying today and the world’s fastest-selling widebody engine with more than 1,800 in service or on order. It has delivered the smoothest entry into service of any widebody engine, with a despatch reliability of 99.9% across three million flying hours. 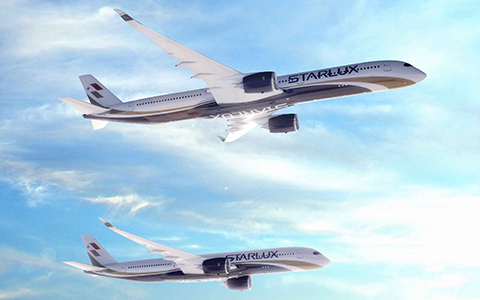 STARLUX announced its selection of the aircraft, 12 A350-1000s and five A350-900s, at Farnborough Airshow last year. The Trent family of seven different engines has now accumulated more than 125 million flying hours since the first Trent entered service in 1995. Rolls-Royce pioneers cutting-edge technologies that deliver the cleanest, safest and most competitive solutions to meet our planet’s vital power needs. Rolls-Royce has customers in more than 150 countries, comprising more than 400 airlines and leasing customers, 160 armed forces, 4,000 marine customers including 70 navies, and more than 5,000 power and nuclear customers. Annual underlying revenue was £15 billion in 2018, around half of which came from the provision of aftermarket services. In 2018, Rolls-Royce invested £1.4 billion on research and development. We also support a global network of 31 University Technology Centres, which position Rolls-Royce engineers at the forefront of scientific research. The Group has a strong commitment to apprentice and graduate recruitment and to further developing employee skills.